Fiji is famed for its crystal-clear lagoons and beautiful beaches lined with palm trees. Think of a worry-free holiday where you can walk the sands and feel the little waves lapping against your feet. For a unique stay, look no further than Pullman Nadi Bay Resort & Spa Fiji. 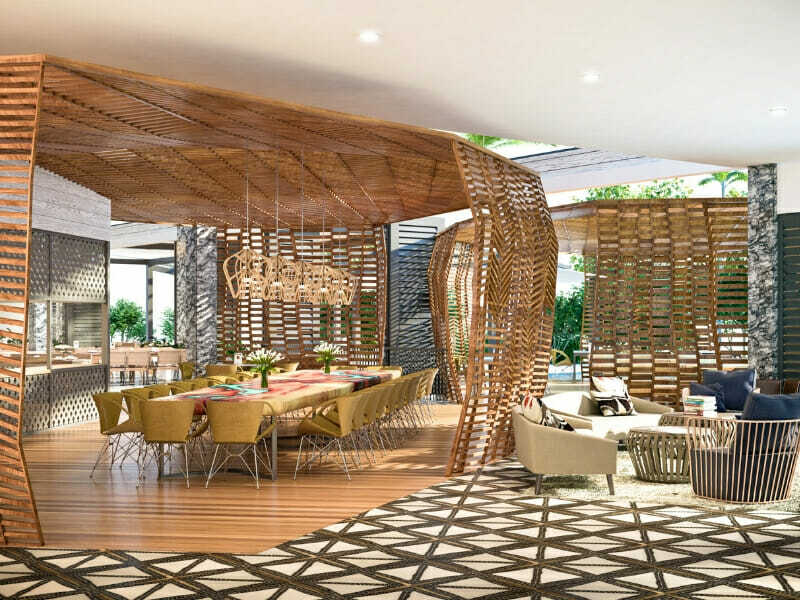 Located on the beachfront of Wailoaloa Beach, Pullman Nadi Bay Resort & Spa is Fiji’s newest 5-star resort! Your holiday starts as soon as you step off the plane with the resort located just a short 10-minute drive from Nadi International Airport. The resort offers 236 rooms and suites along with an extensive range of facilities including 4 restaurants, 3 bars, tennis court, numerous retail outlets, 3 pools, Wellness by Pullman day spa and a 24-hour fitness centre. The vast beachfront and the crystal-clear waters of the Pacific Ocean is perfect for snorkelling, swimming, kayaking, stand-up paddling and games like beach-volleyball. If golf is more your style, the Airport Golf Course is located right across the road. You will never be short on activities to choose from! Plus, with in-room amenities including air-conditioning, Wi-Fi, tea and coffee making facilities and premium toiletries, you will want for nothing! With breathtaking views over the ocean and the Mamanuca Islands in the distance, Pullman Nadi Bay Resort & Spa is also within close proximity to Nadi Town and the Port of Denarau where you can day trip to one of My Fiji’s exclusive experiences or enjoy a bite to eat at the Marina. 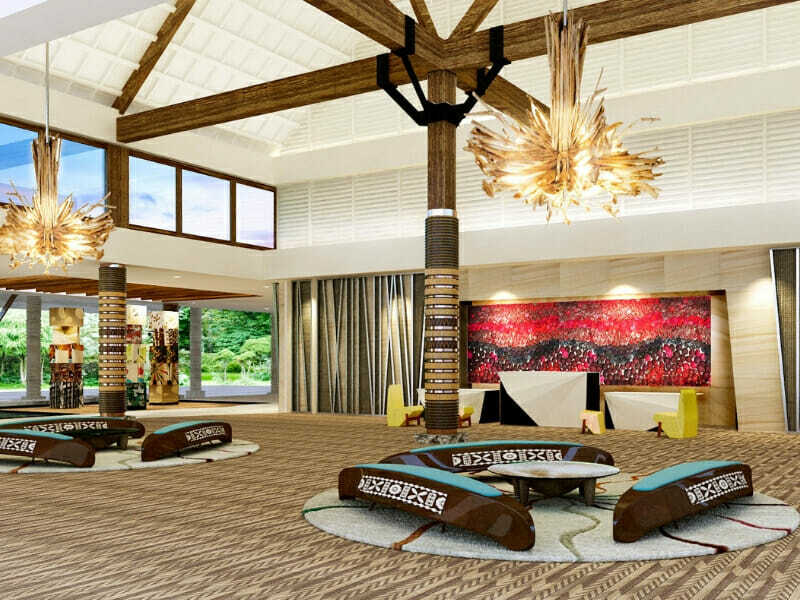 The Nadi Bay address is Fiji’s newest up and coming destination and the perfect place to check-in and chill out! Why Go to Pullman Nadi Bay Resort & Spa, Fiji? Pullman Nadi Bay Resort & Spa Fiji is located on the picturesque Wailoaloa Beach where you can enjoy days filled with sun, sand and sea. This brand new 5-star property takes pride in offering an extensive range of beautifully-appointed rooms, family-friendly facilities and that famous Fijian smile and hospitality. 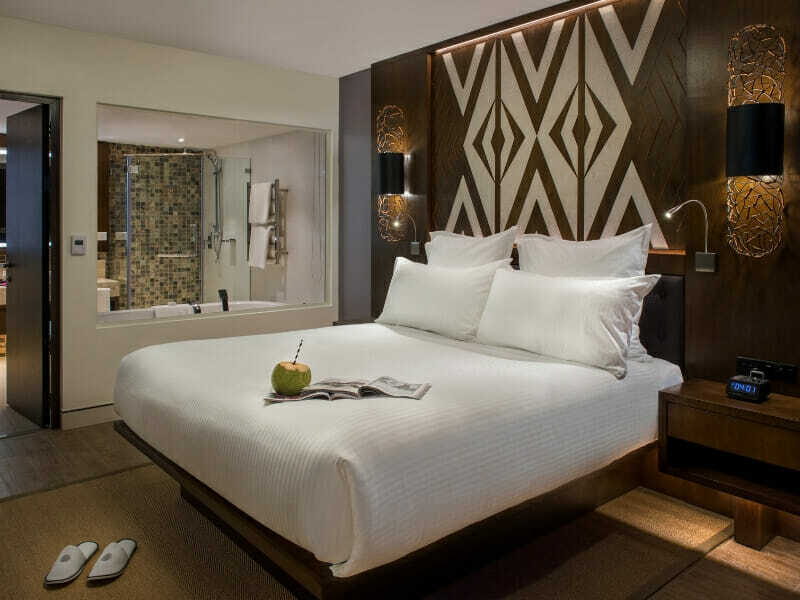 Elegant and stylish guest rooms provide a spacious, peaceful haven, allowing you to relax in total comfort. The Superior Garden View room has a King bed, is 35sq. metres in size and all furniture was designed in Fiji and incorporates the use of the Fiji Magimagi. All rooms are fully air-conditioned, equipped with high-speed Wi-Fi, LCD TV with cable television, luxurious Pullman bedding and a balcony with a view into the tropical gardens and just steps away from the beach. Bathrooms are spacious, featuring stand-alone bathtubs and a separate shower and have Pure Fiji room amenities. Elegant and stylish guest rooms provide a spacious, peaceful haven, allowing you to relax in total comfort. The Superior Garden View room has 2 double beds, is 35sq. metres in size and all furniture was designed in Fiji and incorporates the use of the Fiji Magimagi. All rooms are fully air-conditioned, equipped with high-speed Wi-Fi, LCD TV with cable television, luxurious Pullman bedding and a balcony with a view into the tropical gardens and just steps away from the beach. Bathrooms are spacious, featuring stand-alone bathtubs and a separate shower and have Pure Fiji room amenities. Elegant and stylish guest rooms provide a spacious, peaceful haven, allowing you to relax in total comfort. The Deluxe Pool View King room is 35sq. metres in size and all furniture was designed in Fiji and incorporates the use of the Fiji Magimagi. All rooms are fully air-conditioned, equipped with high-speed Wi-Fi, LCD TV with cable television, luxurious Pullman bedding and a balcony with a view of the extensive pool area and steps away from the beach. Bathrooms are spacious, featuring stand-alone bathtubs and a separate shower and have Pure Fiji room amenities. 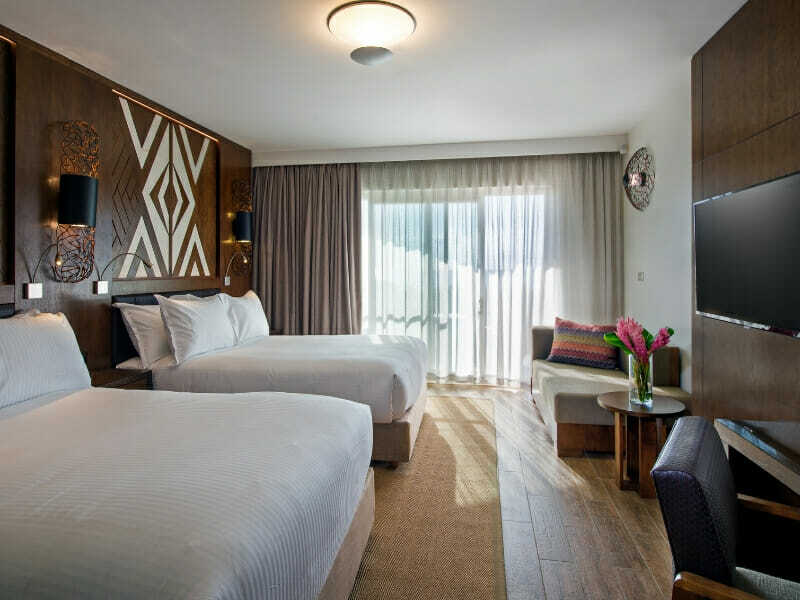 Elegant and stylish guest rooms provide a spacious, peaceful haven, allowing you to relax in total comfort. The Deluxe Pool View room has 2 Double beds, is 35sq. metres in size and all furniture was designed in Fiji and incorporates the use of the Fiji Magimagi. 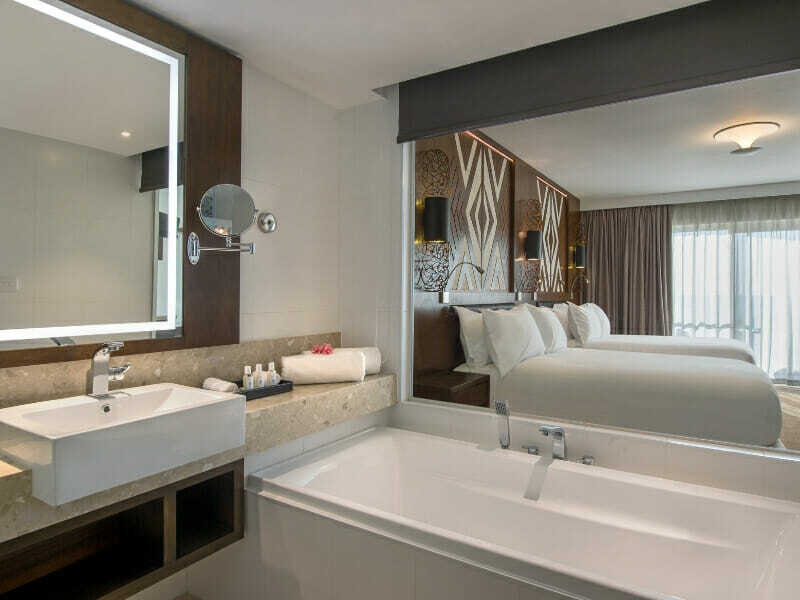 All rooms are fully air-conditioned, equipped with high-speed Wi-Fi, LCD TV with cable television, luxurious Pullman bedding and a balcony with a view of the extensive pool area. Just steps away from the beach, this room boasts a spacious bathroom, featuring stand-alone bathtubs and a separate shower and have Pure Fiji room amenities. 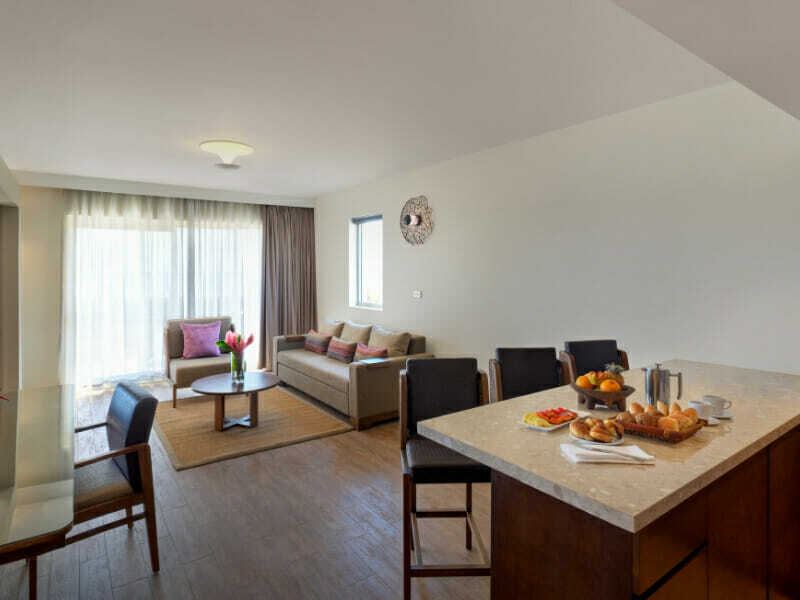 Elegant and stylish guest suites provide a spacious, peaceful haven, allowing you to relax in total comfort. 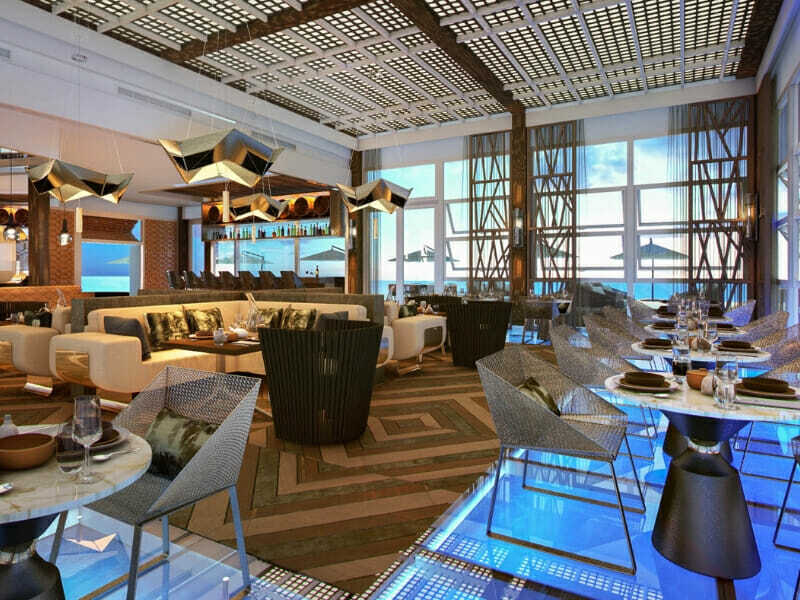 The Executive Ocean View Suite is 70sq. metres in size and features a separate living room and bedroom for a holiday apartment feel, all furniture was designed in Fiji and incorporates the use of the Fiji Magimagi. Located on the beachfront with sweeping ocean views, this suite directly faces the ocean and has direct access to the beach. All rooms are fully air-conditioned, equipped with high-speed Wi-Fi, LCD TV with cable television, luxurious Pullman bedding and a balcony. Bathrooms are spacious, featuring stand-alone bathtubs and a separate shower and have Pure Fiji room amenities. Located on the beachfront of Wailoaloa Beach, the 5-star Pullman Nadi Bay Resort is located adjacent to the 18 hole Nadi golf course, and a short 10-minute drive from Nadi International Airport. Explore the resort’s amazing facilities, which have been designed with the guests’ best interests at heart. 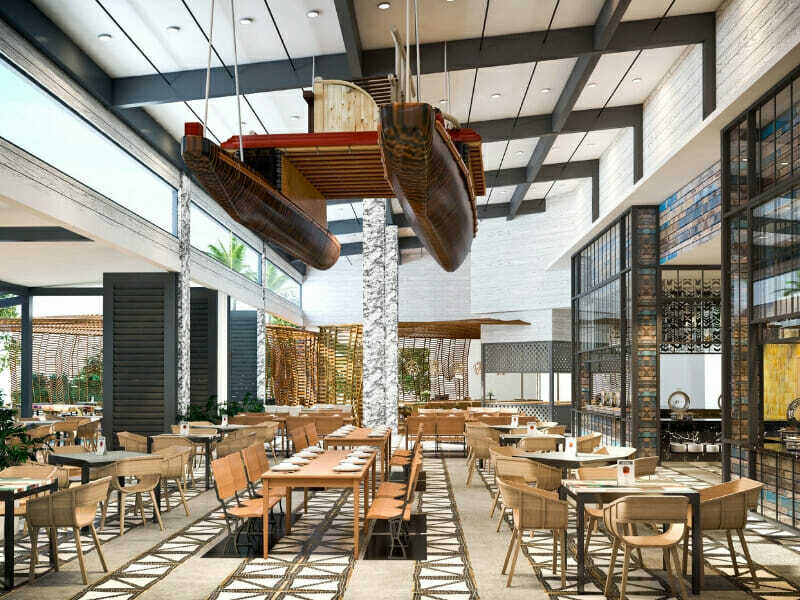 Pullman Nadi Bay Resort & Spa Fiji features a myriad of casual and alfresco restaurants and bars, offering specialty menus. From decadent desserts to full-course meals, this resort has you covered. For pure bliss and indulgence, visit the day spa or plunge into the free-form pool. Also, sign up for different beach activities, hit the on-site gym or tee off at the nearby golf course.